Straight Outta Compton was one of the top 20 highest-grossing films of 2015 and a lot of that had to do with its marketing. Promotion for the movie was damn near everywhere, including Facebook. But as it turns out, white users saw an entirely different trailer for the film than black and Latino users. During a SXSW panel on Wednesday, the moviemakers revealed the process behind the film’s promotional run, offering a look at how Hollywood really works. For the marketing team, the thinking was that white Facebook users wouldn’t be as familiar with the musical careers of N.W.A, Ice Cube (that black guy in family movies) or Dr. Dre (the black dude who sells those cool headphones) as minorities. They connected to Ice Cube as an actor and Dr. Dre as the face of Beats, he said. The trailer marketed to them on Facebook had no mention of N.W.A., but sold the movie as a story of the rise of Ice Cube and Dr. Dre. Since Facebook doesn’t ask people to self-identify as a particular race, a campaign like Universal’s uses what are called “affinity” groups. To construct an “African-American affinity segment,” Facebook would look at indicators like whether someone was a member of an African American Chamber of Commerce Facebook group. When many of these indicators are taken into account simultaneously, it allows Facebook to define the “affinity” segment. 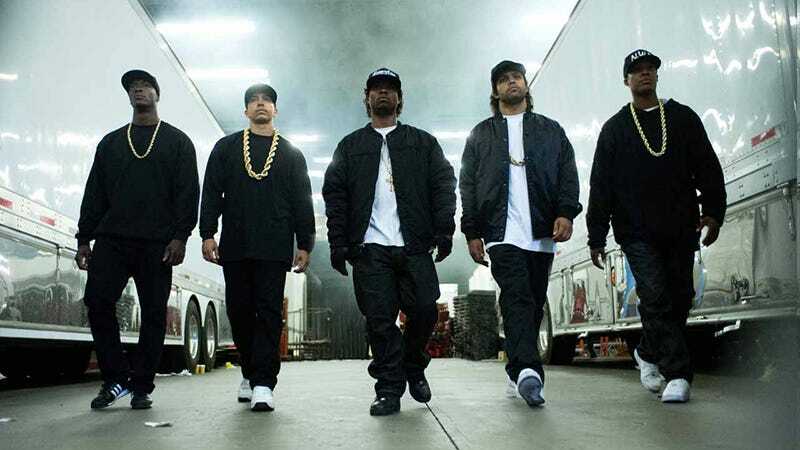 This means Rachel Dolezal could’ve possibly seen the black version of the Straight Outta Compton trailer. Neil characterized this marketing effort as a complete success. From a business perspective, it’s an efficient strategy, but it’s still completely strange that all this was based on a white marketing team’s intuition or feeling about how people respond to black art or what cultural knowledge they assume people have.